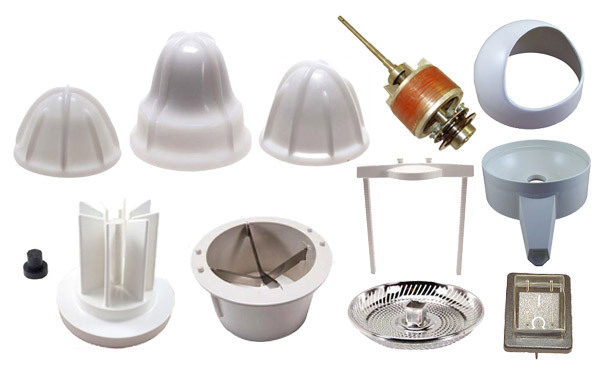 With Sunkist kitchen equipment like commercial juicers and citrus sectionizers, Sunkist has made food preparation with fresh citrus products an easy and efficient process. commercial citrus juicer designed for extended daily usage. It features a metal oscillating strainer to better separate the juice from the pulp so you get more juice from each piece of citrus. 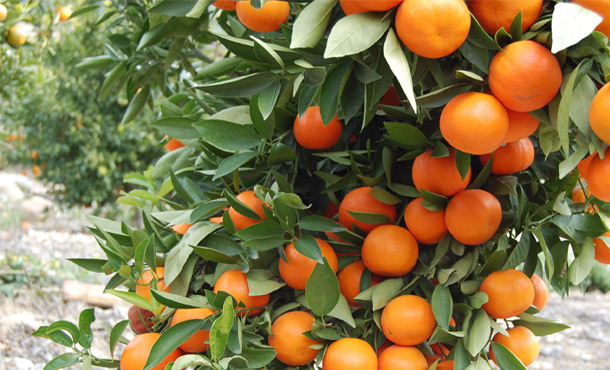 An operator can easily extract between 10-12 gallons of juice per hour using pre-cut citrus. Commercial juicer comes with three extracting bulbs (one each for lemon/lime, orange and grapefruit). 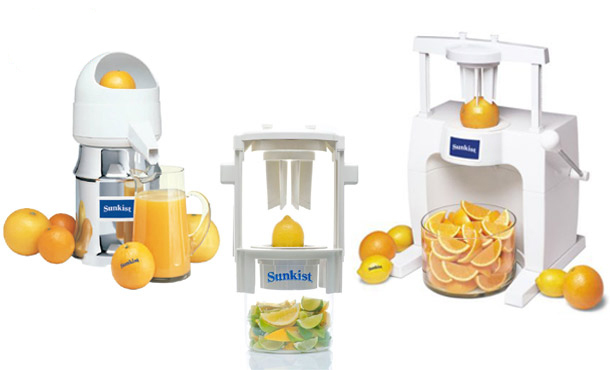 Sunkist Sectionizer designed to fresh-cut, uniform citrus, wedges and slices. It can handle apples, vegetables and tomatoes too. The Sunkist Sectionizer cuts citrus fruit into wedges, slices, or halves, and can even wedge and core apples at the same time.